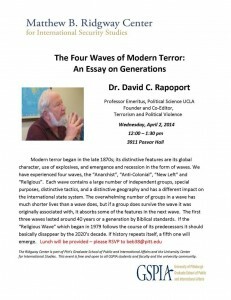 The Ridgway Center is pleased to host Dr. David C. Rapoport on April 2, 2014 at 12:00 noon, in Room 3911 of Posvar Hall. 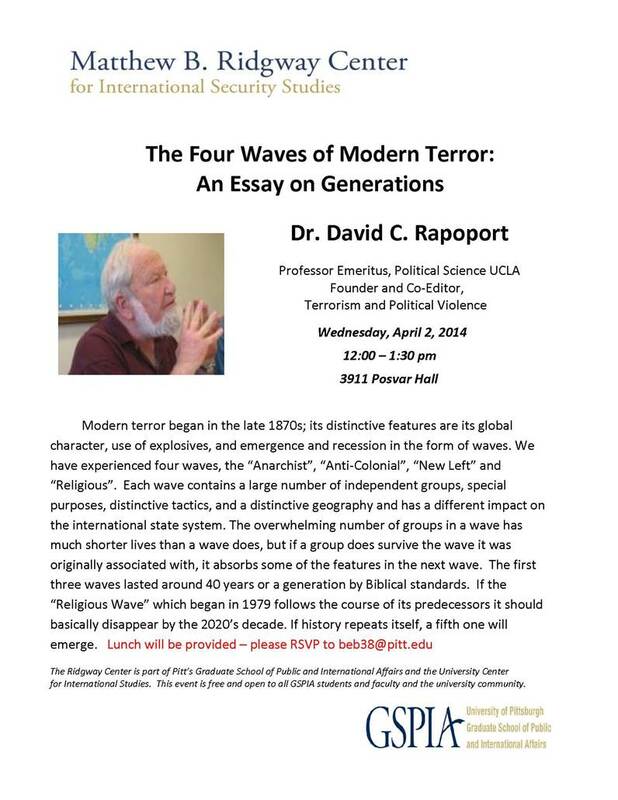 He will be speaking on “The Four Waves of Modern Terror: An Essay on Generations.” Please RSVP today at beb38 [at] pitt.edu – lunch will be provided. We hope you will be able to attend!